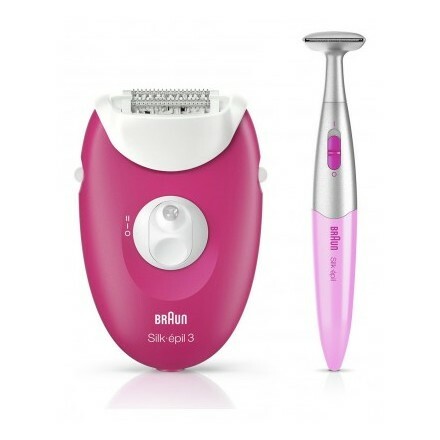 Braun Epilator & Bikni Trimmer SE3420 price in Bahrain, Buy Braun Epilator & Bikni Trimmer SE3420 in Bahrain. This Silk-épil 3 epilator set includes a body and face trimmer for precise hair removal without the hassle of waxing. 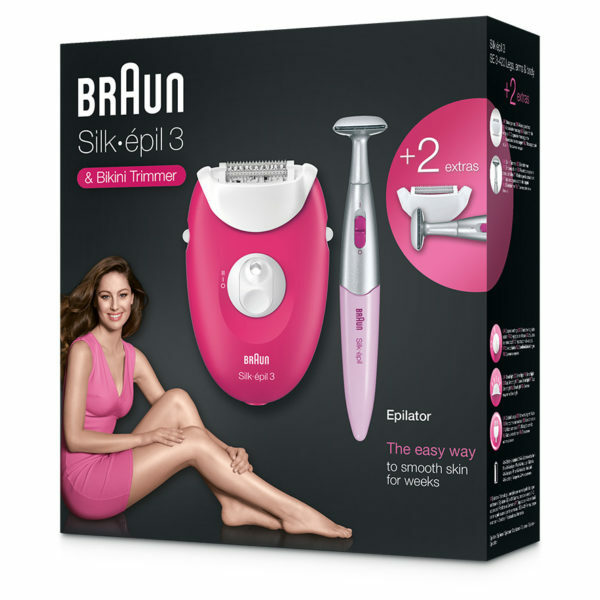 3 attachments allow you to easily tidy and maintain sensitive areas like the bikini line or face. Rounded styler tips protect your skin from nicks or irritation. Smart light. Never miss a hair again.